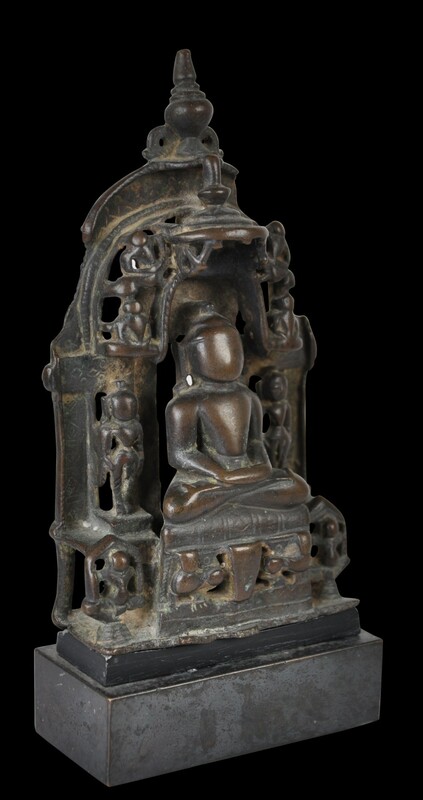 The form of this well-worn bronze altarpiece is characteristic of fifteenth century Jain bronzes. 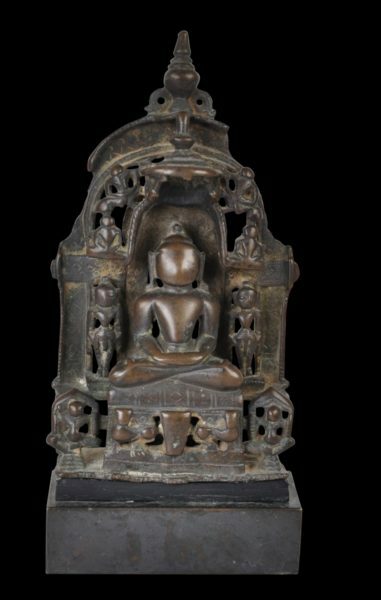 The principal Jina, is shown with a large, oval head, elongated ears and broad shoulders. He is seated cross-legged on a cushion on a lion lion throne. Together with a pair of standing jinas and two sitting jinas, the central figure forms a ‘five-jina image’ or a pancatirthi. Other figures are attendants and celestial nymphs, some of whom are seated while others stand. Rising above the group is a parasol from which a now worn pendant fringe meant to symbolise strings of pearls is suspended. 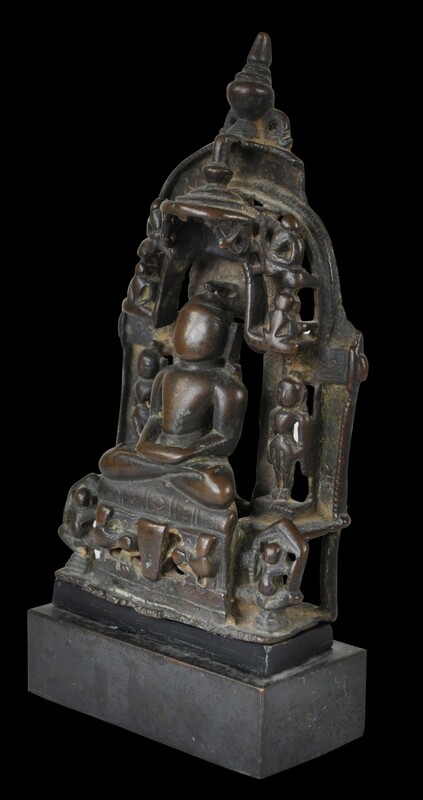 The arch of the throne is topped by a tall, narrow-necked vase, the kalasha. There is a description on the reverse in Devanagari script. The image is much worn through ritual handling. It is accompanied by a custom-made stand.